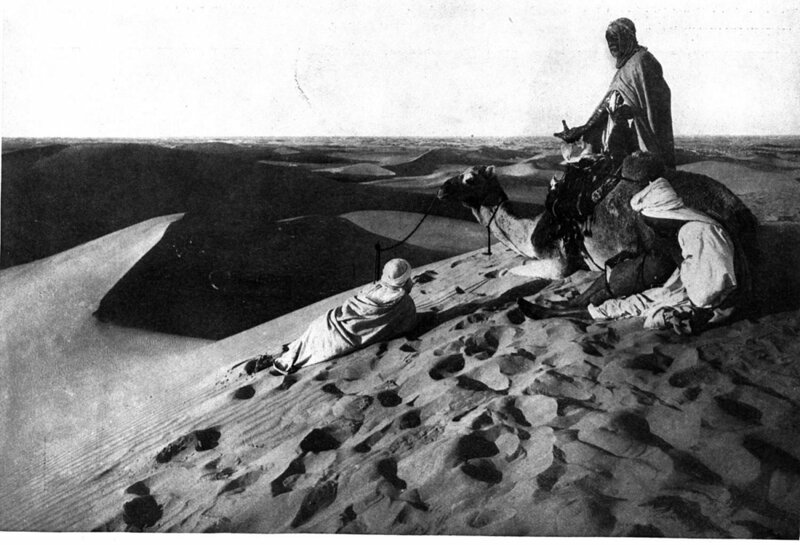 It's mostly devoid of life, and thus a great illustration of death or destruction. 31 And after that they had mocked Him, they took the robe off from Him, and put His own raiment on Him, and led Him away to crucify Him. 32 And as they came out, they found a man of Cyrene, Simon by name: him they compelled to bear His cross. 33 And when they were come unto a place called Golgotha, that is to say, a place of a skull, 34 They gave Him vinegar to drink mingled with gall: and when He had tasted thereof, He would not drink. Jesus Christ defeated death (Hebrews 2:14). And there's something very interesting about Simon being from Cyrene. 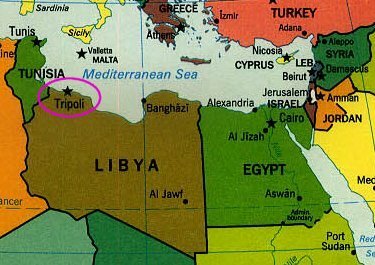 Cyrene is now called Tripoli, and it's in Libya, right where Africa's deadly wound is located! 45 Then said David to the Philistine, "Thou comest to me with a sword, and with a spear, and with a shield: but I come to thee in the name of the LORD of hosts, the God of the armies of Israel, Whom thou hast defied. 46 This day will the LORD deliver thee into mine hand; and I will smite thee, and take thine head from thee; and I will give the carcases of the host of the Philistines this day unto the fowls of the air, and to the wild beasts of the earth; that all the earth may know that there is a God in Israel. 47 And all this assembly shall know that the LORD saveth not with sword and spear: for the battle is the Lord's, and He will give you into our hands." 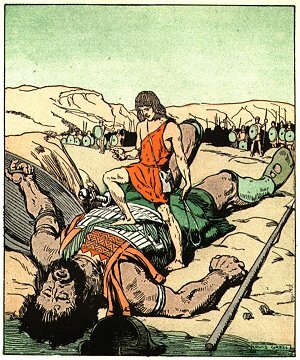 I believe the giants were another attempt by Satan to destroy the seedline of Jesus Christ. This group of giants were probably destroyed by the flood. But, because they weren't "born from above" like everyone else, when they died their spirits didn't return to God, and they became the evil spirits that are on the Earth. It's obvious that this incident was repeated (Deuteronomy 2:10-12; 3:11), but that group of freaks was hunted down and killed. Eventually their evil spirits will be destroyed as well (Isaiah 26:14). 18 Then lifted I up mine eyes, and saw, and behold four horns. 19 And I said unto the angel that talked with me, "What be these?" And he answered me, "These are the horns which have scattered Judah, Israel, and Jerusalem." 20 And the LORD showed me four carpenters. 21 Then said I, "What come these to do?" And he spake, saying, "These are the horns which have scattered Judah, so that no man did lift up his head: but these are come to fray them, to cast out the horns of the Gentiles, which lifted up their horn over the land of Judah to scatter it." 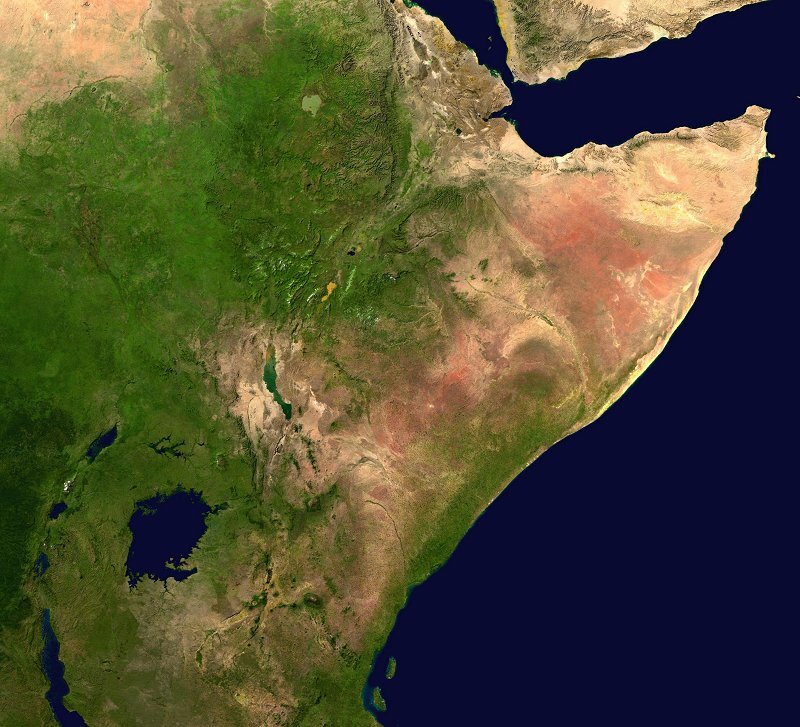 It's very interesting that this horn has long been known as the Horn of Africa because it looks like a horn. 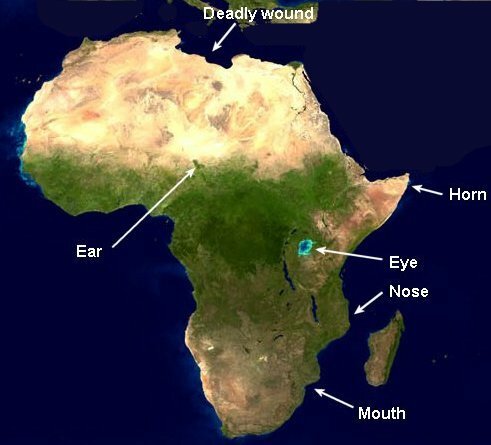 Now let's focus on the eye and ear of the African skull. 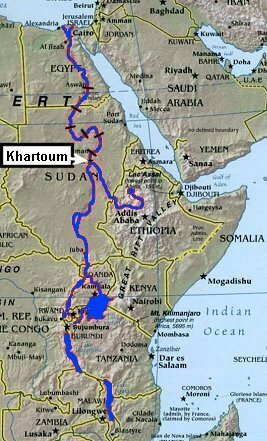 The eye is Lake Victoria, Africa's largest lake, and its ear is Lake Chad. 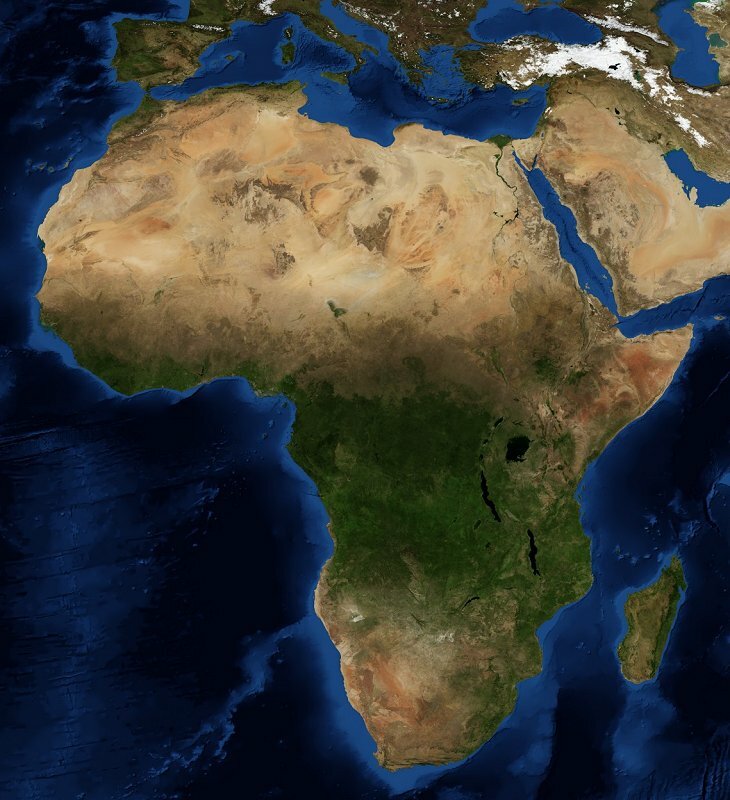 Africa's ear is in serious trouble. It's drying up. 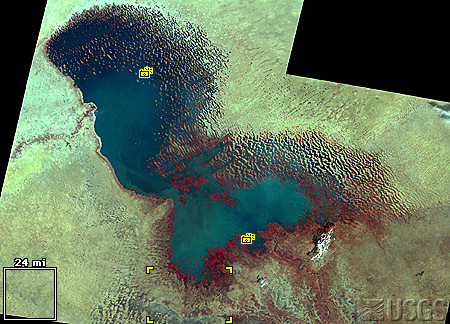 Below are 2 satellite images of Lake Chad produced by the United States Geological Service. The one on the left was taken in 1973, the other in 2007. 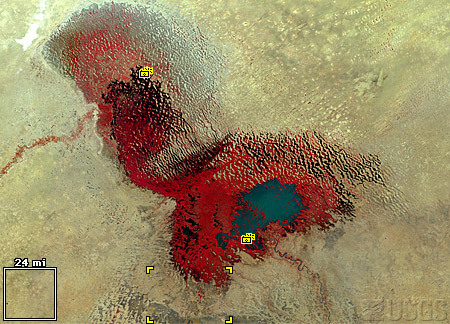 Lake Chad is almost completely dried up, and it's filling in with sand (the ridges are sand dunes). 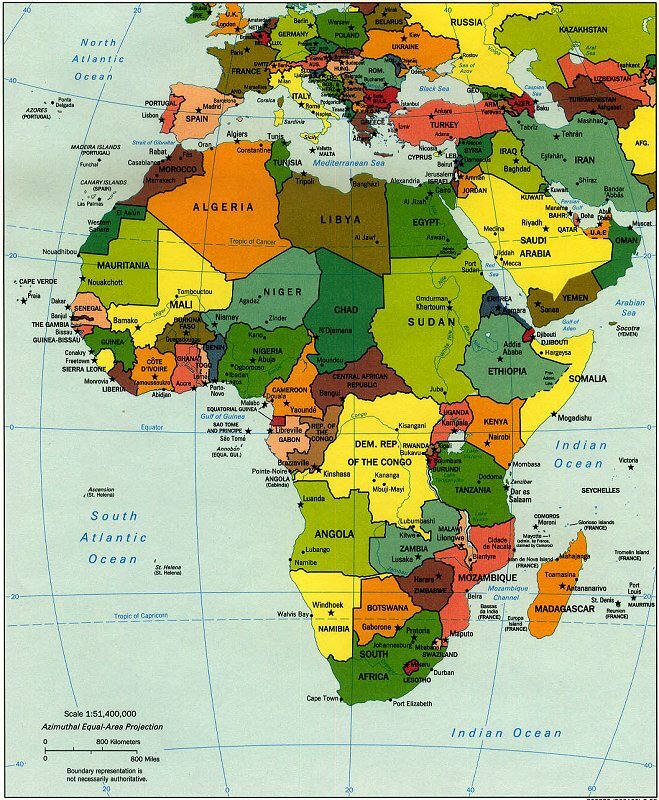 Therefore we might say that the African skull has no ears to hear; it's spiritually deaf. 9 And He said, "Go, and tell this people, 'Hear ye indeed, but understand not; and see ye indeed, but perceive not.' 10 Make the heart of this people fat, and make their ears heavy, and shut their eyes' lest they see with their eyes, and hear with their ears, and understand with their heart, and convert, and be healed." 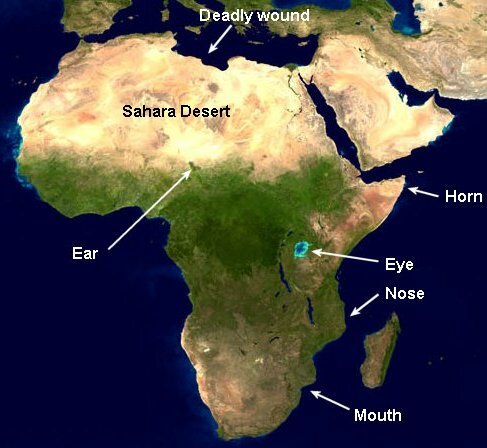 The two lakes south of Lake Victoria are not part of the Nile - they are Lakes Tanganyika and Malawi - but along with the other lakes to north, they help create a very large S-shaped scar beside and below the eye. Madagascar's plants and animals are very unique. Most are found nowhere else in the world. Unfortunately, many are disappearing or already gone including Aepyornis, the world's largest bird. It was "believed to have been over 3 metres (10 ft) tall and weighing close to half a ton – 400 kilograms (880 lb)" (courtesy Wikipedia). Giant bird, eh. A thunder-chicken indeed! 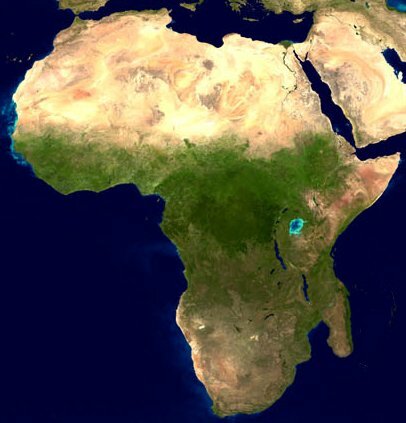 Madagascar is actually Africa's nose! 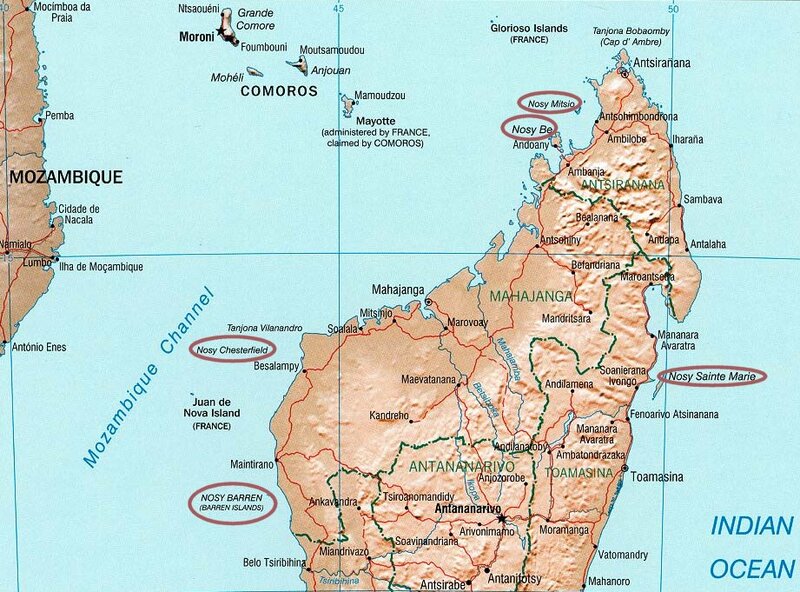 The word for island in the Malagasy language is nosy! It's also spelt nossi. 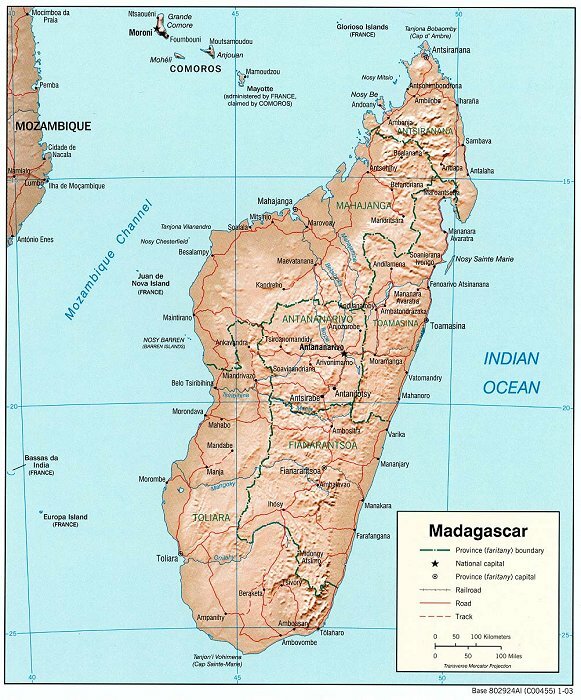 Malagasy is Madagascar's official language. And so the world's 4th largest nosy is a nose.